Should I go for the MBA? I have been working at KPMG - Management Consulting for the past 1 year. If I apply for MBA schools this year, I'll have 2 years of job experience by the time I join. 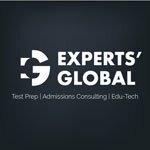 I have a GMAT score of 720 and I'm from India with a background in Mechanical Engineering. Do I have a realistic chance of getting a top 20 mba school or should I wait for another year before applying? Vikrant1995 B-Schools look for the brand names like KPMG on candidate's resume, as these assures a secured future for their graduates, which maintain college's reputation. Another thing is, sooner you learn and start your career in management, better it is, as you'll be moving with a good speed in career. You already have a fine GMAT Score. So overall you have fine profile, that stands a chance for these college(much depends on your application) So I'll suggest, you apply to 2-3 Universities of your choice, this year. If you get in, it's good. If not, then you'll have some experience of this complex application process. A win win situation. Remember one year post MBA work-ex is much much more beneficial then one year pre MBA work-ex. Another thing, if you apply early, you'll be interacting with smarter and more experienced people than you, so growth will be much faster. If my answer was helpful, then let me know by pressing Kudos. Btw, i am too from Mechanical Background. Vikrant1995, while exceptions happen many times, but purely statistically speaking, the average age/experience for top MBA programs will be against you. There is a reason for why bschools expect good amount of work experience. If you want to be in the exceptions category, you have to think about why the schools should do that in your case. 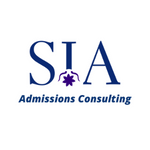 Top schools would attract several from your firm and with much higher GMAT scores. While you may be able to make the cut, make sure you've done your research well and know how you'll be able to differentiate and make a case for yourself. While the top 20 business schools' average work experience is around 5 years, conveying compelling experiences coupled with a strong case for "why an MBA" and "why now" could get you admitted. However, with your GMAT score and limited experiences, admissions to a top f-t MBA might be a hurdle. I recommend you retake the GMAT and increase your score by 10+ points. Successful applicants that lack experience, for example, make up for it in other parts of the application. Applicants with your demographic typically apply with a stronger GMAT, so you will need to find ways to differentiate. 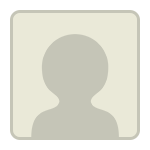 I welcome getting to know your story further and recommend you connect with us for a more detailed profile evaluation. When you are ready, please reach out. While we do have experience with getting a number of students with engineering profiles and low work experience make it to the top 20 schools in the US, it is definitely not something that happens every other day. Hence, we recommend that you garner additional work experience and apply next year; you will be closer to the average work experience that students come with. First of all congrats on scoring a high GMAT score of 720. Congratulations on scoring a high GMAT score of 720. As an admission consultant, we do suggest all of our applicants to always aim for GMAT score of 700+ so as to increase their chances of getting into top B-Schools of their dream. But in your case, you have already achieved it. KPMG is a global recognized company and you working over there enhances your profile. Since you have decided to do MBA, the very first thing you need to do shortlist the B-Schools based on your profile. But here you also need to consider other aspects in shorltisting the schools based on class profile which includes the data such as average GMAT score, work experience, program duration, post-MBA goals, tuition fees, employment rate etc and other statistical data along with it. These will give you a better overview of the schools which you are planning to apply for. Most of the B-Schools have a certain average work experience which they prefer from the candidates who are applying, but it does not mean that the candidates application who do not have the right average work experience are rejected. They just need to fall under the range of work experience since the Adcom of the B-Schools give preference to the candidates with work experience. You are eligible to apply for top B-Schools with a GMAT score 720 and with the work experience of 2 years. But we wont be able to give you the realistic answer on your chances of getting into top B-Schools. You can apply now or even wait for another year to apply for MBA but you need to make the choice. You just need to figure out are you ready to do it now or later. B-Schools have an holistic approach towards the MBA application process. There is no much information about your profile except for your GMAT score, so it is difficult for us to guide you with your query. 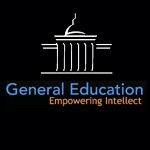 But it is not the end of the road, as we at General Education have served the MBA aspirants over a decade in assisting in their MBA application process to get into their dream B-School by ensuring that they know what and how to write in the essays and thus have increased their chances of their application getting shortlisted. Try our unique tool “Introduce Yourself” to submit your profile details and one of our representatives will contact you to assist you with your queries related to the MBA application process.